I'm one of those people who is easily pleased, give me beautiful, sparkly things or a cute bouquet of flowers (or a slice of pizza even) and I'll be the happiest girl in any room. 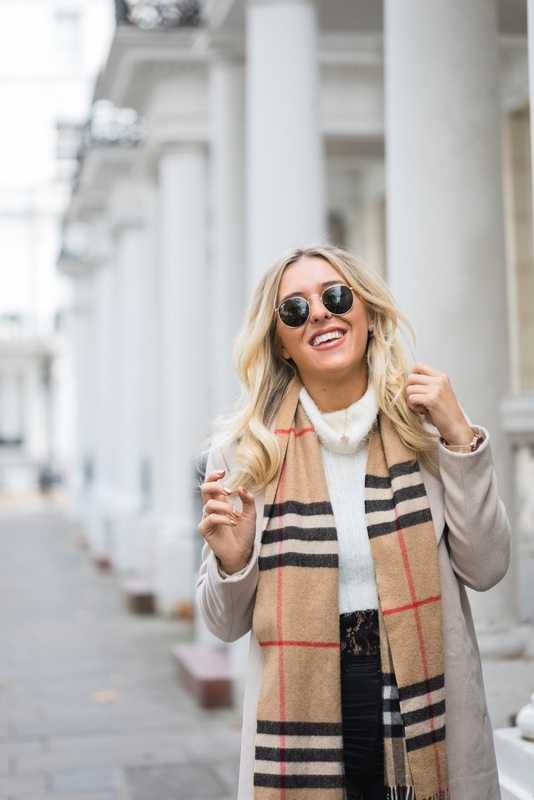 It's no secret that I'm a big lover of accessories, from my Burberry scarf, to my love for handbags (my new Gucci swing is a welcome addition to my life) and obviously, jewellery. 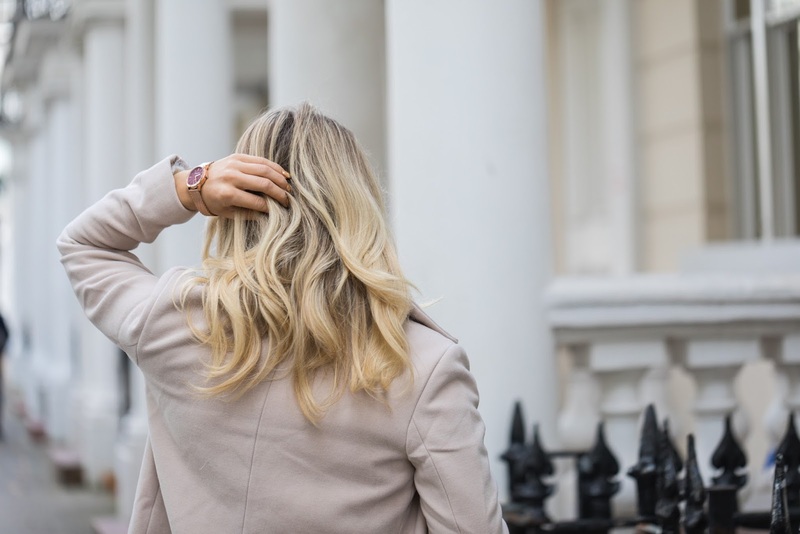 Jewellery is one of my favourite things because it's personal, you can choose the bits you like or someone can treat you and it feels like they're always with you when you're wearing that key piece. Another great thing about jewellery? How interchangeable it is, you can make it fit with your mood. You can be delicate with it, or make a statement. It's a very personal thing. 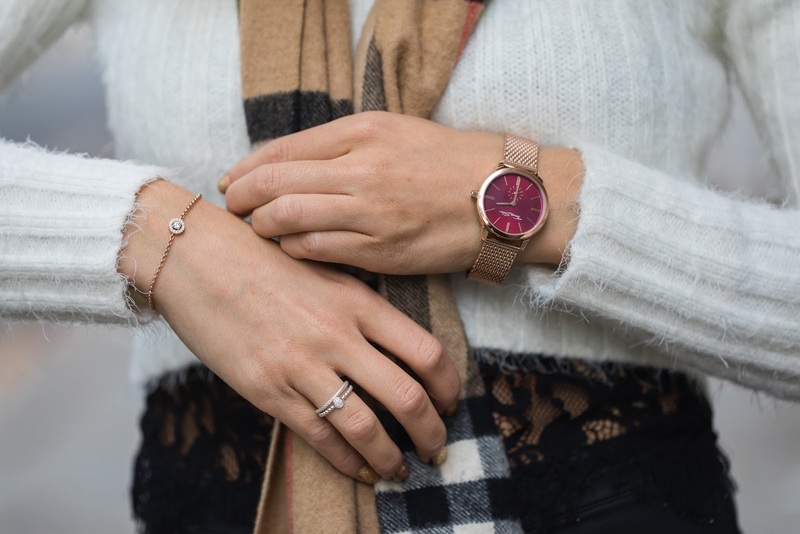 On today's post, I wanted to show you some perfect Winter stacking with a little help from Thomas Sabo, one of the best in the business when it comes to gorgeous accessories. Spoiler: You're going to want it all. 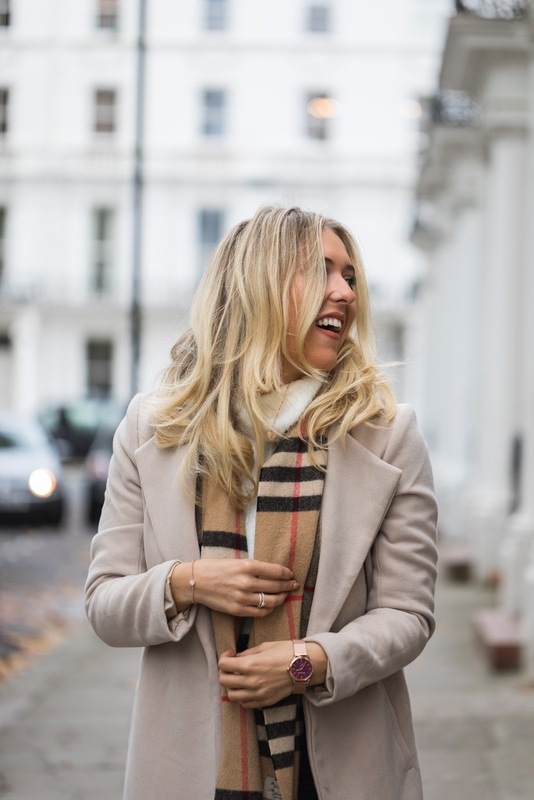 P.S I'm sure you've noticed, I'm pretty much doing blogmas this Christmas, with daily blog posts for as long as I can this December! I'm also doing vlogmas on my YouTube, so keep checking back! The Watch - The hero piece has to be the watch. 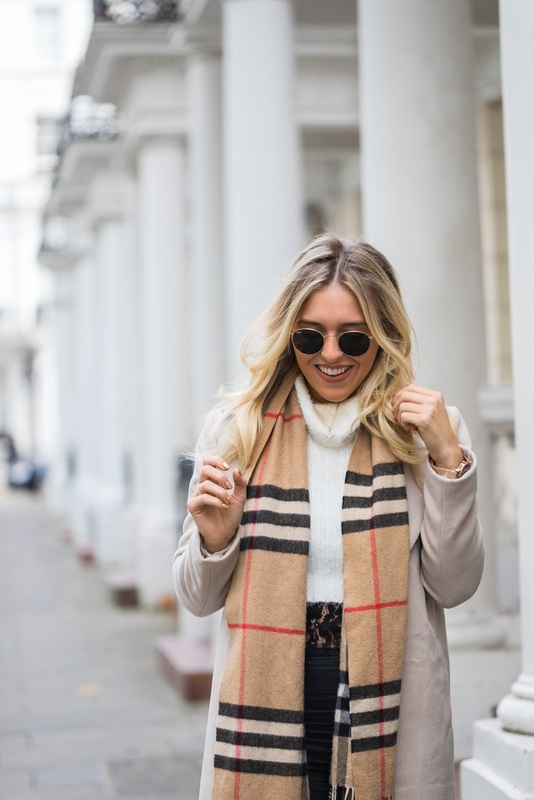 It works perfectly on a casual basis with this fluffy jumper and jeans, or with it's rose gold colour, looks great dressed up too. I feel like it adds warmth to the chills this Winter. It's such a timeless, classic and beautiful piece, a genuine pleasure to wear. 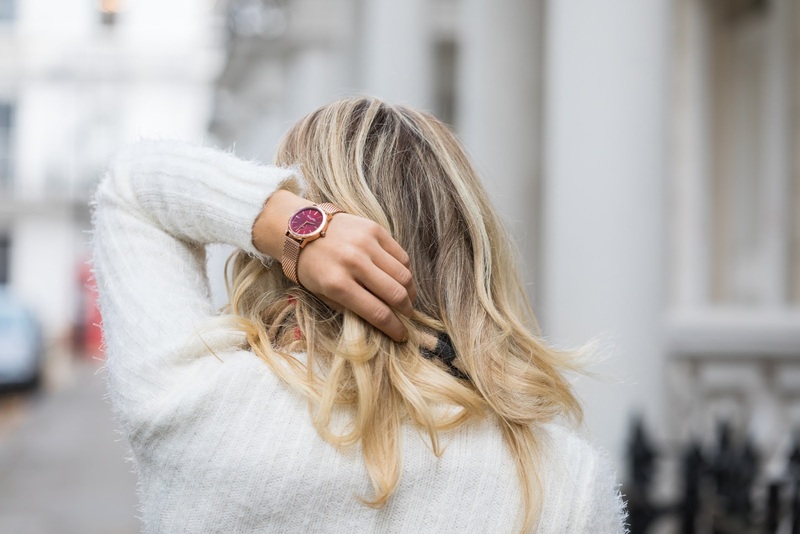 Shop Thomas Sabo online. The Rings - Delicate and tasteful, the rings. These stacking rings are absolutely beautiful. 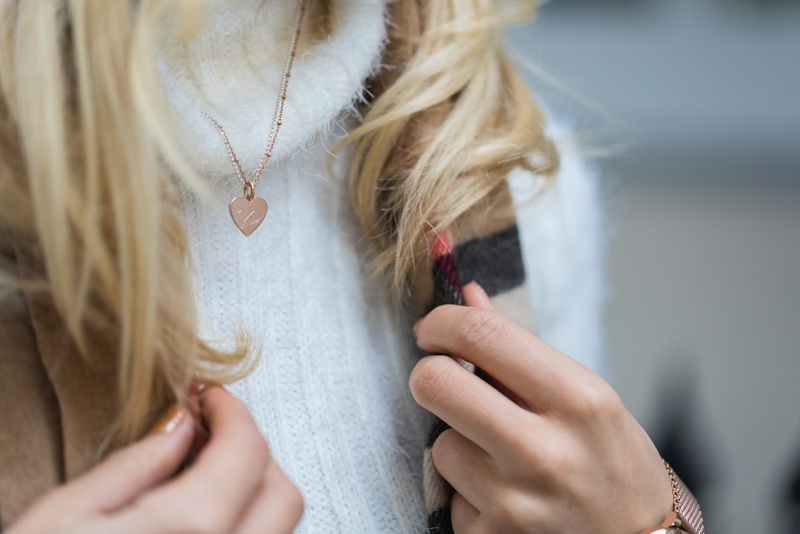 They're so easy to wear and actually, mixing the rose gold with the silver totally works this Winter. It's something I've never done before until now but I love it. I think these rings give the perfect Winter touch and almost spell out: Christmas. 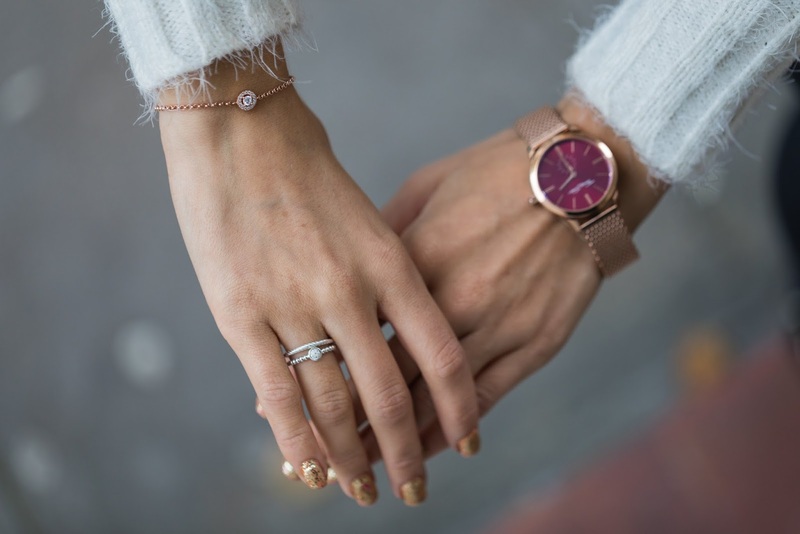 I love stacking rings because you can make a statement or just be dainty and minimal with them. I chose to stack two up. Shop stacking rings online here. 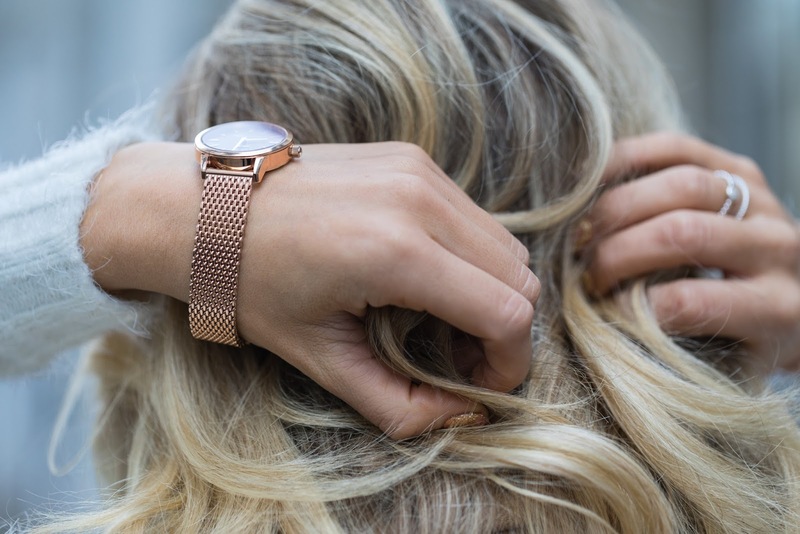 The bracelet - My personal favourite (although it's hard to choose), rose gold mixed with the most beautiful, dainty sparkle. I think worn by itself this piece makes such a dainty, beautiful statement. It's classy and elegant and I think I'll be wearing this every day to brighten my day. The Necklace - Last but certainly not least, the necklace. 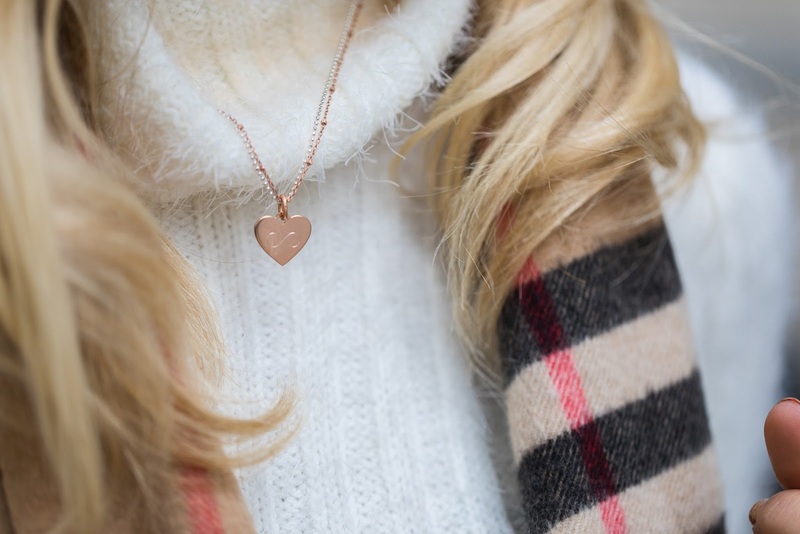 I think necklaces are really personal, they're close to your chest and are the perfect every day item. I chose to get this engraved with an infinity symbol. This would make the most beautiful present. 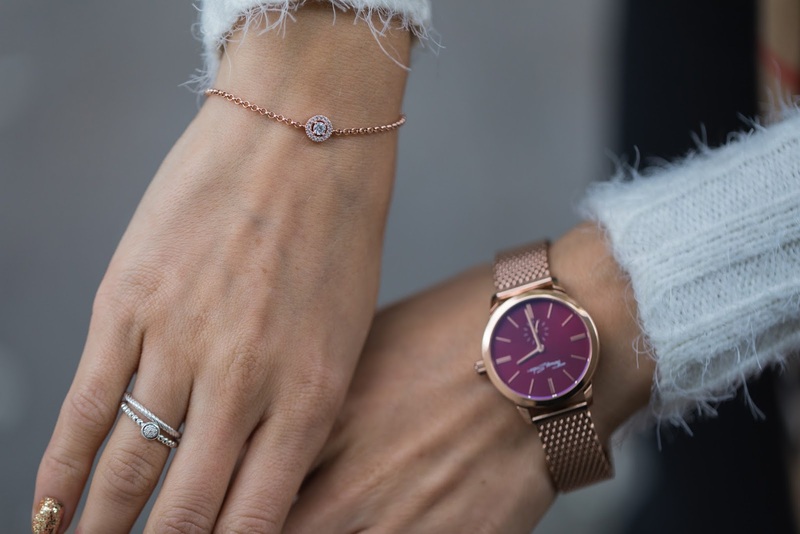 Thomas Sabo have blown me away with their beautiful new pieces, they're delicate, dainty and so classy. These are the kind of pieces you can wear forever, they're precious and special but can be worn on a casual basis or can also be dressed up. Don't forget to shop them online here. You can see more of my full look below. What's on your Christmas list? 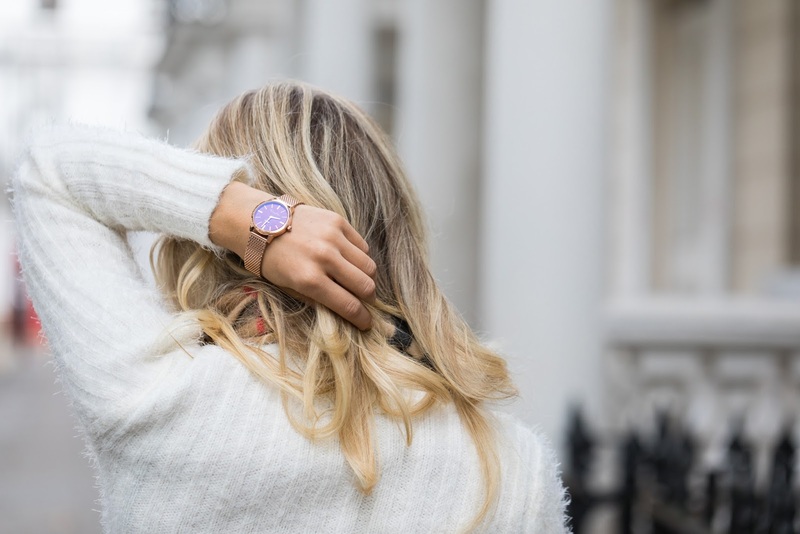 Do you like Thomas Sabo? Do you like jewellery? Photos by the incredible Oscar May. *I worked with Thomas Sabo on this and feel honoured!